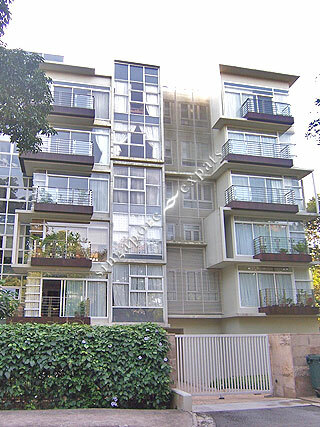 HILLS APARTMENT is located at 46 GOLDHILL AVENUE in district 11 (Chancery, Dunearn, Newton) of Singapore. HILLS APARTMENT is a Freehold Condo development consisting of 10 units. HILLS APARTMENT is completed / TOP in 2006 (estimated), developed by KHENG LEONG CO (PTE) LTD.
Educational institutions like CHINESE INTERNATIONAL SCHOOL, SAN YU ADVENTIST SCHOOL, ST JOSEPH INSTITUTIONAL INTERNATIONAL, ANGLO-CHINESE SCHOOL (PRIMARY), SINGAPORE CHINESE GIRLS' PRIMARY SCHOOL and BALESTIER HILL PRIMARY SCHOOL are near to HILLS APARTMENT. HILLS APARTMENT is accessible via nearby STEVENS, NEWTON and NOVENA MRT Stations. *** Hills Apartment is a rare gem nicely situated in the Chancery Vicinity and yet easy access via few exit routes. ** This is one rare project whereby you stay in the city and yet enjoy the grrenery nature and fresh air. ** A truly Rare Gem.